We pride ourselves in producing the best quality trees to be found anywhere. With over 35 years of experience, we work hard for you and understand the importance of timely deliveries and a "down-home" type of relationship. 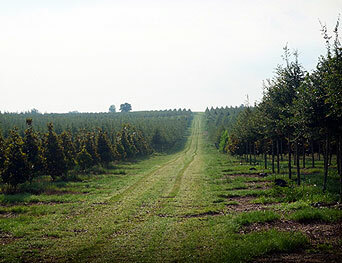 Our nursery is located 15 miles west of Ocala and consists of 200 acres of premium grade landscape trees. We grow over 20 species of trees, specializing in Live Oaks since 1981 and now setting the standard for quality in the nursery industry.